Blocked Drain Swindon - for FAST unblocking! Call 01793297229! Call Now 01793 297 229 for help FAST! 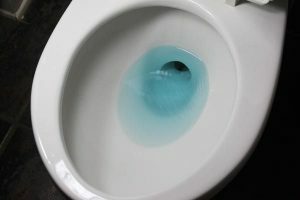 Stephen called Blocked Drain Swindon when he became concerned that the water in his bath was not draining, and noticed a bad smell coming from the plug. We were with Stephen within 2 hours and Stephen’s drains were quickly back to normal, meaning he could get on and enjoy the rest of his day with no fuss. The team at Blocked Drain Swindon come highly recommended from clients both past and present, so you know you can trust us for high quality work at low prices. If you’ve got a problem with your drains, call us today on 0179 329 7229. Prices start from just £75 per 30 minutes. Available 24/7, we can help you at any time of day or night – on Saturday, bank holidays, or even Christmas Day! 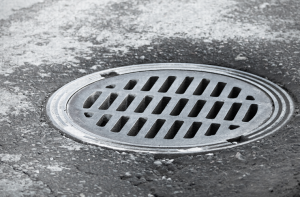 Blocked drain Swindon is your local comprehensive drains and drainage issue specialists covering the whole of Swindon and the surrounding areas. For a free over the phone quote on our services just call our number and speak to one of our friendly office staff who will listen to your problems and suggest the most cost effective solution to that problem. Blocked Drain Swindon mean business and that means we don’t mess around on site or on price, we don’t charge for call outs and we won’t charge you VAT either making us super competitive on price. Call now and speak to one of the professionals about your drains, today. We can be out in absolutely no time at all or at a later time to suit you. Blocked drain Swindon is dedicated to providing cover 24/7 365 days a year and with no call out charge no matter the time or your location we’ll be with you fixing any issues with a professional attitude and approach to the work. Call now! Blocked Drain Swindon are your number one for all blocked drains and other drainage issues in the Swindon and surrounding ares with no call out charge and no VAT to pay on any of our services including drain jetting and CCTV drains survey and other things like blocked toilets, showers and sinks, we should surely be the first people to call when you’re in need of drains specialists in the Swindon and surrounding areas. We supply fast response times and comprehensive drains service tosolve any and every drains issue you have for us. 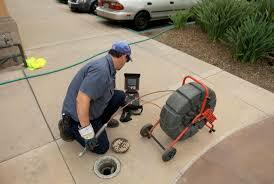 Our experienced drain specialists are comfortable with any sort of blockage and so is our equipment. And we don’t just deal with blockages either blocked drain Swindon can also repair your collapsed drains too! Call today and speak to one of our trained advisors about our services with no call out charge and no VAT to pay on any of our services. We’ll make sure you get the most professional service and are treated like royalty as we melt away any and all of your drainage issues, whatever they may be. Here at blocked Drain Swindon we’re ready and waiting with fast response drain services for all blockages and other drain issues. With fast response times for all emergency and non emergency call outs across all Swindon and surrounding areas 24/7 365 days a year ready and waiting for if and when you need our services. Call whenever for professional services and fast response times for all emergency and non emergency call outs across all services no matter the time or date we’ll be there with the tools, skills, and experience to make any unblocked or damaged drains you might have a thing of the past. Call today and speak to one of our trained office advisors about all the fantastic services we offer, our availability to offer those services and most importantly the cost of those services. Have you got blocked drains that you’d like cleared sooner rather than later? With Blocked drain Swindon you won’t have to wait around months on end for a blocked drain specialist to take care of your drains, we’ve got you covered now! 24/7 comprehensive blocked drain services in and around the Swindon area with no call out charge either, making our already competitive prices as low as they can possibly be. What’s more is with over 20 years experience you know you’re in safe hands with blocked drain Swindon. Call now and speak to one of our trained advisors today about all of the great services we offer to your home or your place of work. We don’t charge VAT and we don’t charge for call outs so don’t hesitate to get your drains taken care of by our blocked drain Swindon team today! 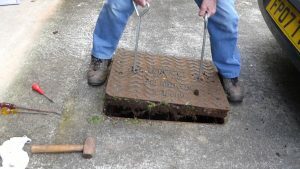 Blocked drain Swindon have over 20 years experience and all the tools and skills to make any drain troubles that you might be having a thing of the past, today. Call now and speak to one of our trained friendly advisors about all our amazing services on offer, or things like when we’re available to provide those services, and most importantly the price of those services. Alternatively you could describe the problem you’re having to one of our trained advisors and we can send one of our professional drain specialists out to your home or work with drain jetting and CCTV drain equipment plus more to help us get rid of any drain troubles you may be having. Call our lines today and you won’t pay and call out charge AND we won’t charge you VAT either meaning you know you’re getting the most out of your money when you chose blocked drain Swindon to supply you drain services. Call now and see what we can do for you today! Blocked drain Swindon is a small local team consisting of drain specialists and plumbers from the local area who dedicate themselves to providing drains services across the whole of the Swindon and surrounding areas. Call today and speak to one of our trained advisors to learn more on the different services we offer, when we’ll be available to provide those services and most importantly how much the services will cost you. We’re here 24/7 365 days of the year making sure everything runs smoothly and we offer services that will surely get your drains running back in order. from rodding to drain jetting, to CCTV drain surveys blocked drain Swindon has got it all and what’s more is that we can come at the drop of a hat or a time to suit you. Call today and you won’t pay a call out fee AND we won’t charge you VAT either so you know you’re getting the most for your money when you come to blocked drain Swindon. Call today and speak to one of the professionals and see if we can’t get your drains back in working order, today. Call now! We offer fixed hourly rates with no additional call out fees or hidden costs, so you’ll always have a clear idea how much you’re going to be paying beforehand, no matter how long it takes to complete the job. It might seem easier and cheaper to try and fix the problem yourself but more often than not this leads to more damaging and more expensive problems. That is why we recommend that you call Blocked Drain Swindon today as soon as you notice something wrong. We value the satisfaction of customers like Stephen as our top priority, and we aim to provide every client with the best service using the latest technology and preventative methods. So if you need an emergency drain engineer, call Blocked Drain Swindon today and speak to one of our trained advisors for help and guidance, as well as a free quote. Blocked Drain Swindon are a specialist emergency drain service. So if you’ve got a problem with your drainage systems don’t hesitate to call: 0179 329 7229. Our team work 24 hours a day, 7 days a week. Blocked Drain Swindon is professional, reliable drain engineers. And we are fully equipped to tackle any job. There is always someone on hand to respond to your call. This thought can significantly ease the pressure caused by a blocked drain. Here at blocked drain Swindon, we’re dedicated to providing fast response drain relief for the Swindon and surrounding areas. Whether you’re at home or you’re at work we’ll make sure we get out to you so you can stop worrying about your drain troubles because they will surely be a thing of the past after our team are through with them. We don’t employ lazy drain specialists, you’ll see when our team go to work not a single second is wasted making sure you get the most for your money. We also don’t employ sales people in the office to sell or over sell you services you don’t really need. Instead we teach our advisors the importance of not being pushy and being informative as possible. Here at blocked drain Swindon we’re dedicated 24/7 365 days of the year to providing the best and quickest dyno rod type service we can possibly provide. With all the tools and equipment coupled with years of experience Swindon drains ins you local alternative dyno rod like service for the people of Swindon and the surrounding areas. 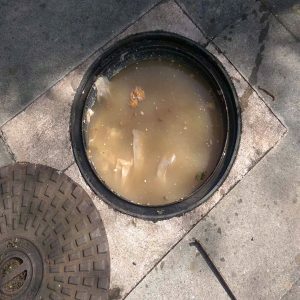 Blocked drain Swindon provides a bunch of great serices certainly not limited to unblocking drains, blocked drain Swindon unblocks drains, blocked drain Swindon can also diagnose drain problems with our CCTV surveys. Blocked drain Swindon can also repair your drains when they’re broken and that makes a big difference between us and other companies. Sometimes blocked drain Swindon can get to a job and it might be a completely different blocked drain Swindon issue than we’d anticipated so blocked drain Swindon team always have to be on their feet and ready for anything. Call us now and see if we can’t come and diagnose and then fix any drain problems you may have, today! Here at blocked drain Swindon we deal with all sorts of sights on a daily and weekly basis, and while we appreciate a varying type of work every week blocked drain Swindon never know what to expect. Does that mean we just give up when it gets too busy? Absolutely not, blocked drain Swindon actually deal with every type of drain problem and to do that takes dedication as well as staying on our toes every second of every day waiting to take on anything that comes our way. Blocked drain Swindon deal with blocked drains, drain repairs, and if you don’t know what’s wrong with your drains just that there is something wrong with your drains, blocked drain Swindon can diagnose and then fix the issue with our CCTV drain survey that can tell us what’s wrong with someones drains without us having to rip up any gardens or kitchens or bathrooms to find the root of the problem. Blocked drain Swindon is here for you if and when you need us, when you call us up and speak to our trained advisors you won’t be rushed into making a decision or sold anything you don’t need, our office staffs job is to find the most cost effective way of dealing with your drain issues whatever they may be. Call now and we could come out and fix your drain issues as soon as today. Here at blocked drain Swindon we’ve been enjoying this spell of nice weather we’ve been having recently, but one thing we can’t cope with is the heatwave. Even though the pubs are packed the ridiculous heat makes our job extremely difficult and makes it smell a whole lot worse. So are we going to be taking time off to wait for this heat wave to pass? No, it’s business as usual even if the weather isn’t usual. blocked drain Swindon is here for the people of Swindon whenever they need a drain unblocking we’ll be there. What about charging more because of the extreme weather? Absolutely not we’d never charge our customers more for something they don’t have any control over, we just want to make a blocked drain Swindon service that can be trusted and is easy to use. Call today and see if we can’t come and unblock your drains for you, call toady and we’ll see you right! 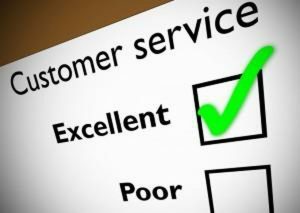 Here at Blocked Drain Swindon we care all but too much about customer service. Why? because over the 20 years of service we’ve always been so concerned with our customer service out look and we’ve seen many businesses start up and fail due to their customer service being so bad! So what does customer service mean to us? Well to be honest we’re not down with the new pseudo customer service definition that we’ve been sold recently, with companies thinking it’s okay to write a 3 page essay on customer well being with loads of buzz words and jargon on their website and then throw all of that customer service out of the window when they see you reaching for your pocket! We’re different, we don’t just talk a good game and then mistreat you, we prove our customer service is important. We do this by employing and training office staff that run a 24/7 365 day a year phone line where customers can call and talk about anything they wish, and our teams mission is to help you with whatever that might be! Call us and see what we can help you with today! Here at blocked drain Swindon we love being able to provide a quick and easy drain unblocking service to any and all people in the Swindon and the surrounding areas. But what are the benefits of using blocked drain Swindon? Well, blocked drain Swindon is a small local drain unblocking service for all drains and blockages, commercial or residential, internal or external, big or small! blocked drain Swindon have got you covered. Blocked drain Swindon unblocked drains all over the Swindon and surrounding areas, we don’t just do it occasionally or when we want to do it, we do it 24/7 365 days of the year. Blocked drain Swindon are dedicated to providing a quick easy to use service that’s competitively priced when it comes to all of the services we offer. Blocked drain Swindon knows that a day off for us could be bad news because we could miss someone and gain a bad reputation for being unreliable and make people not want to use us. This is not the case at all as blocked drain Swindon is very careful to make sure the customers experience with us is a pleasurable one and not an uncomfortable one. Call today and see how you can get your blocked drain Swindon team to you, today! We know it’s a nightmare when you find one of your drains is blocked and it can be a right pain to get someone out to sort it. We can come out to you and unblock your drain but there’s a cost. So here are a few things to think about in the way of preventing a blocked drain and eventually a call out. 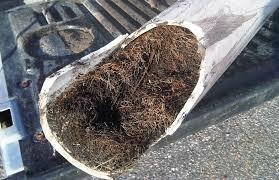 Preventing a blocked drain should start with looking at what causes a blocked drain. That would depend on what type of drain you’re talking about. An internal sink or toilet blockage is most commonly caused by build ups of fats and oils for kitchen sinks and mostly sanitary products for toilets. This means that most internal blockages are preventable, whether it’s your toilet or your kitchen sink, it’s probably your fault. So to greatly reduce the risk of an internal blockage all you have to do is be more careful with what you’re disposing of down the sink or toilet. External blockages are a bit different as the main causes are natural and a lot harder to prevent than causes of internal blockages. However we don’t just clean drains we also clean and help you maintain your drain with something called rotary mechanical drain cleaning. This is what we call the insertion of a spring with a cutting arm into your pipe in order to descale and return your pipes to their natural diameter. Call our phone lines today and see what we can do for you. We’re open 24/7 and you’ll always be able to speak to one of our friendly advisers. Blocked drain Swindon are a small local outfit consisting of trained office advisors and local drain specialists working 24/7 around the clock to ensure that if you’re in the Swindon and surrounding areas and you need your drain issues fixing then you’ve come to the right place and there’s not a date or time that you can’t call us and depend n our drain services. Blocked drain Swindon is a no mess no fuss kind of drain service that offers a bunch of different great services at competitive rate to anyone and everyone if and when they need them in the Swindon and surrounding areas not just soon but today. 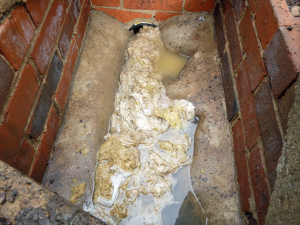 Here at blocked drain Swindon we’ve seen a lot of different blockages over the 20 years experience we have. Massive drains blocked on building sites to smaller household toilets and sinks, we don’t have a favourite although we have noticed something about bathroom blockages such as your toilets and sinks. And the thing that we’ve noticed, we think is worth sharing. We’ve noticed that most toilet blockages could’ve actually been avoided if the home owner had been a little more careful when disposing with some of the items in this article. We know it might seem like a poor business model telling people how to avoid using our service but here at blocked drain Swindon the only business model is to unblock drains and if we can achieve that before they even happen then that’s mission accomplished as far as we’re concerned. 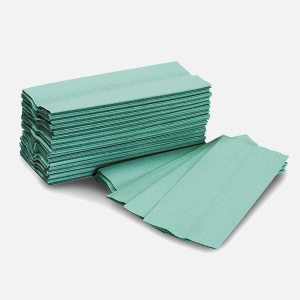 Firstly when looking at preventing a blockage we must first look at what causes a blockage, and for these internal toilet blockages the main culprits never change, things like sanitary products and paper towels along with cotton buds are among the most common offenders. If you’re drain or toilet is already blocked don’t fret as blocked drain Swindon can be there in a flash to get you back on the move. It’s never too late to call us, but the sooner you do the better! Call today and see what we can do for you! Here at blocked drain Swindon we know it can be a real pain in the neck when you find a yourself with a blocked drain Swindon, it can also be an even bigger pain in the neck finding someone who’s local who’s available, and has the right tools for your blocked drain Swindon. Blocked drain Swindon get to you fast! Blocked drain Swindon have competitive prices, and blocked drain Swindon cover the whole of the Swindon area, and what’s more is that blocked drain Swindon are open 24/7 365 days a year so if you find yourself with a blocked drain Swindon, give blocked drain Swindon a cal today and see if we can’t help you with your blockage, no matter size or place. Blocked drain Swindon train all of our team to our insanely high standards before allowing them to attend a job, this is so that you know if blocked drain Swindon are sending you their team, you’re receiving an expert service from our expert team. What’s more is that we also vet and CRB check all of our team before they’re allowed to join us. This is because we think it’s just as important to send you someone you can trust, than someone who’s capable of the job, and we’d never send you someone who wasn’t capable of the job. Call us today and we’ll send you our specialist blocked drain Swindon team. 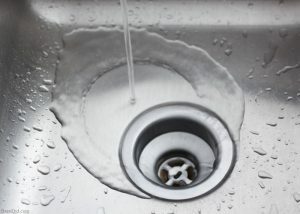 Blocked drain Swindon won’t make you speak to automated messages, when you call blocked drain Swindon you’ll talk to one of our trained advisors and we won’t leave you on hold for half a day waiting to speak to the right person, because at blocked drain Swindon there isn’t a wrong person. Call blocked drain Swindon today! Here at blocked drain Swindon we’re trying to deliver the best drain unblocking service that we possibly can to the people of Swindon and the surrounding areas. To do this blocked drain Swindon knows we need to excel in a few areas before we can claim the title of best dyno rod like blocked drain service in the Swindon and surrounding areas. Blocked drain Swindon needs to be prepared fo anything from internal and external drains, to commercial and residential drains that are blocked. It doesn’t matter big or small, far and wide, if you’re in the Swindon or surrounding areas and you have a blockage you should call us! Blocked drain Swindon also realises that we can’t just be the best at unblocking drains, we need to be the best in a few more areas if we were to give ourselves the best blocked drains Swindon company title. Another way blocked drain Swindon wants to be the best is on price and to be the best service provider we need to provide the most competitive prices we can, what’s more is that blocked drain Swindon are quick to get out to you in an emergency. And if you’re not in an emergency, don’t fret we’ll still be able to get someone out to you in the same day as your initial call. Blocked drain Swindon wants it’s customers to feel welcomed and we certainly don’t want you to fell any added stress to what could already be a tense situation. Some blockages leave nasty odours in your house, but even if your blockage doesn’t have an odour you should still get it cleared as blocked drains can harbor disease which isn’t good for anyone. Call now and see if we can unblock your drains today! Here at blocked drain Swindon we deal with all sorts of drain issues, and that’s not limited to just blocked drains either, we deal with everything from commercial blocked and damaged drains to residential damaged and blocked drains all the way to the massive industrial blocked and damaged drains, blocked drain Swindo do really deal with it all. So if you’re in the Swindon or surrounding areas and you have a blocked drain you know that we’re here ready and waiting for your call if and when you need us. Blocked drain Swindon has over 20 years experience and over that time we’ve perfected our craft and can’t begin to tell the people of Swindon how appreciative we are for their support over the years, not just using us but allowing us to stay open as long as we have, that’s why to say thank you blocked drain Swindon makes sure our customer service is second to none, how? Blocked drain Swindon is open 24/7, but not only this blocked drain Swindon has trained advisors on our lines every day read to advise you to the quickest and most cost effective solution to your problem no matter what that problem might be. Blocked drain Swindon won’t make you talk to automated messages or put you on hold for hours waiting to speak to the right person, and that’s all because here at blocked drain Swindon, there isn’t a wrong person to speak to. Call now! 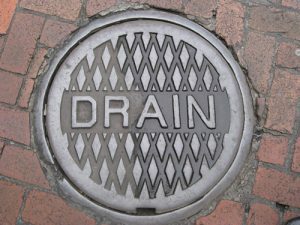 Blocked Drain Swindon understands that you don’t want to be hanging around all day waiting for someone to clear a blockage when you find one in your home, especially if it’s leaving a nasty odor. That’s why we’re fast to get out to you in an emergency blockage situation, and what’s more we don’t charge you a call out fee, just for the work. It’s never ideal to find a blockage and it can really irritate you if you have other things going on in your life, blocked drain Swindon recognises this is the case and that’s why blocked drain Swindon have simplified the system we use so even if you’re at the end of your tether with it all you’ll still be able to get a blocked drain specialist out to your blockage. Blocked drain Swindon uses a simple system to get our guys out to you in an emergency. Just call us up tell us what’s wrong and we’ll quote you over the phone for the work and as long as you’re happy with the quote we can send someone out to you in a matter of minutes from your call. Call today and see if we can’t unblock that drain for you! Blocked drain Swindon, we’ve got your back! Here at blocked drain Swindon, we don’t just say it like other companies either. To us, customer service is more than corporate jargon and buzz words, we’re not going to write a three page essay about customer service and our company ethos, just to throw it all out of the window when you reach for your pockets. No, we’d rather take an active approach to our customer service, so our customers can see instead of being told. Actions speak louder than words, but if you want to know what we make of customer service, we think customer service is making the customers time dealing with your business as painless as it can possibly be. We also think another important factor of customer service is an open dialogue between business and customer and visa versa, never just the one way. 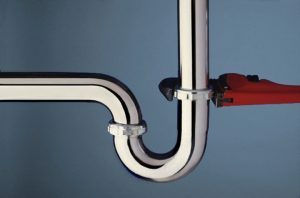 We take an active approach to our customer service which is why we always have someone operating our 24/7 365 day a year phone line, designed so our customers, potential customers, or even just anyone who’s enthusiastic about what we do, can call up anytime on any day and ask us anything or get a drain technician out if need be. We won’t make you talk to automated messages or have you on hold for hours just to be connected to someone who doesn’t know anything about what you’re asking them, all of our advisors are trained in how to deal with your issue in the best way they can. Here at blocked drain Swindon we know it’s a struggle when you have blocked drain, what do you do? What if you have a big external drain blockage for example, you could call a plumber, but chances are after you’ve paid his call out fee you might very well find out he doesn’t have the tools required for the bigger and more stubborn blockages when you could’ve just rang your local drain specialists in Swindon who could’ve been there on the scene fast, ready to cut right through any blockages you may have. Or what about a smaller internal blockages? Like toilets and sinks, surely it’d be too expensive to call out our specialist team for such a small job? Nonsense, we deal appropriately for all types, shapes, and sizes of drains so if your toilet’s blocked, don’t call anyone else. Blocked drain Swindon have over 20 years experience with all types of blockages and the tools that rid people families and businesses from theses blockages so you can be sure that when you’re sent someone from blocked drain Swindon you’re in good hands. Blocked Drain Swindon will never let you down, whether emergency or booked in work, we’ll be there to see you through till the end. When Ruth found that the water in her shower wasn’t draining properly she called Blocked Drain Swindon. We were able to respond to her call quickly and efficiently, and using the latest technology such as pressure rods and preventative methods her drainage systems were restored back to normal in no time at all, leaving her to get on with the rest of her day with minimal disruption. Blocked Drain Swindon offer genuinely low fixed prices with no additional call out fees or hidden costs, so Ruth knew exactly how much she would be paying regardless of how long it took to repair her shower drains. We understand that it may seem easier to try and fix the problem yourself, but this often leads to additional unwanted problems that cause more damage and are more expensive, which is why we recommend calling Blocked Drain Swindon to speak to a member of our team. Blocked Drain Swindon have years of experience in the field and come highly recommended from a wealth of clients both past and present, which is why Ruth knew she could rely on us to take care of her drains to the highest quality. Blocked Drain Swindon believe that customer satisfaction is our top priority and we aim to provide every client with the very best service for the best prices. So if you need a drain engineer urgently call Blocked Drain Swindon and speak to one of our trained advisors for help and a free no obligation quote. 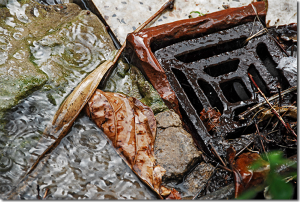 If you’ve come across a problem with your drains, call Blocked Drain Swindon today. We use CCTV surveys to pinpoint exactly where the problem is, allowing us to deal with any problem much faster. We understand the stress a blocked drain can cause, which is why our team of professional, reliable drain engineers operate 24 hours a day, 7 days a week so you know there is always someone on the other end of the phone ready and waiting for your call. Blocked Drain Swindon offer genuinely low fixed prices, so you always know exactly how much you’ll be paying no matter how long the job takes. Most jobs can be completed within an hour, and with a guaranteed call out time of 2 hours we can ensure that your drains will be taken care of swiftly and efficiently, leaving you to get on with the rest of your day with minimal disruption. We understand that it may seem easier to try and fix the problem yourself, but more often than not this leads to additional unwanted damage and more expense, which is why we recommend calling Blocked Drain Swindon and speaking to one of our trained advisors for help. Customer satisfaction is our top priority and we aim to provide every client with the best service for the best prices. We believe that prevention is the best solution and we always make sure to use the best preventative methods to ensure that the same problem doesn’t occur again, saving you both time and money. Competitive prices are important to our skilled workers. Providing you with the right service at the right time, and making sure that your drains are cleared quickly. Is part of what we do gladly and at any time. Our availability is all hours. And to get ahold of us, all you need to do is ring the number above. A blocked drain Swindon specialist is always on call available to take care of your emergency. Equipped with the skills, experience and the right tool for clearance jobs of any kind. You can trust the blocked drain Swindon workers to take good care of your drains and your needs. Speak to a technician over the phone straight away by calling on on our team now. Drains are our speciality and your drain issue is our priority. Our solutions are long lasting as we always do a thorough job. Help with drain modifications for stubborn drains, our CCTV drain surveys for those recurring clogs which need a permanent solution is also available. 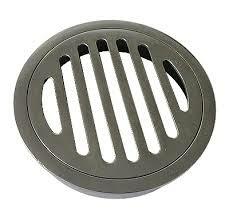 Speak to the blocked drain Swindon service now for the drain advice and assistance you need. Professional blocked drain Swindon services are available to you as a homeowner or to you as a business. Our work is guaranteed, and block bookings for regular drain jetting and drain maintenance are available. Keep your business running smooth with commercial scale drain clearance suiting for a wide variety of businesses from catering to laundry service. Your blocked drain Swindon quote is available right now. A quick call and discussion about your needs will leave you more informed and with your competitive quote straight away. No jargon and no fineprint. Our technicians love pipes and are here to make sure your drains are smooth and free flowing at all times. Blocked Drain Swindon have years of experience in the industry. Our team come highly recommended by both past and present clients. So you know you can rely on us for high standards of work. Are you in need of a drain engineer? Or are you after some friendly advice and guidance? Call Blocked Drain Swindon today! Speak to one of our trained advisors. Blocked Drain Swindon will help. And you will receive a free no obligation quote. Blocked Drain Swindon are your local and trusted team. 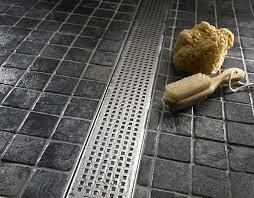 We are specialising in anything drain related. Have you ever found yourself with a blocked sink? Or maybe you have experienced your toilet backing up? Next time don’t hesitate to get in touch with us. You will receive fast and cost-effective service. Most of the time, blockages are simple to clear. And the job is completed with no drama or fuss. And it is done for a fixed price too. The engineers can fully examine faulty drains and sewers. 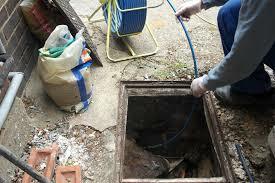 Blocked Drain Swindon can investigate any damage by carrying out a CCTV survey. We will find the cause of your drainage problem. Here at blocked Drain Swindon we know that plumbing issues, especially blockages can happen at the worst times. It’s hard to find the time to stay on top of maintenance work, and when it mounts up it can feel like a heavy load to bare. We’re here to ease that load from you as far as blockages are concerned. 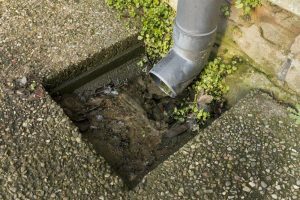 We know blockages can come at the worst possible times financially too, but blocked drain Swindon always recommend sorting a blockage as soon as possible as leaving a blocked drain Swindon for too long could cause more damage that lead to more cost. That’s why we’re open 24/7 365 around the clock to ensure as soon as you are able to sort that blockage, we can be there for you, fast. 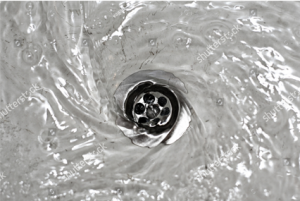 Blocked drain Swindon don’t mess around with automated messages, call us anytime to suit you and talk to one of our trained advisors who’ll guide you to a solution to your problems in a matter of minutes. We’re not going to leave you on hold for half a day waiting to speak to the right person, because there isn’t a wrong person to speak to here at blocked drain Swindon. Call today to get your blocked sink, toilet or drain, unblocked by our specialist blocked drain Swindon team today. No drain to big or small far and wide in Swindon, for blocked drain Swindon to deal with! If you see you have a blocked drain, an overflowing drain or a leaking sewer causing a disturbance within your home, then contact Blocked Drain Swindon. All work is fully guaranteed and completed to the highest standard with the latest equipment and technology which reduce both costs and environmental issues. The team also carry out work on an insurance basis and can deal with all aspects of your claim in order to relieve any stress you may feel when dealing with policy matters. Blockages can cause issues with your pipes and drains throughout the year. And they can worsen over time. Especially it happens in the colder months. Fat and grease can be found within your pipes. And the cold weather can often mean that traces of tat harden and freeze. But you can help to deter this problem. Just regularly pour boiling water down your drain. That will help remove these fatty substances and halt any potential blockages. High pressure water jetting was first used in the mining industry in the mid to late 1800s for cleaning purposes, and then again much later in the 1930s in the industrial sector for cutting steel and other metals. Since then high pressure water jetting (HPWJ) has continued to be used the fossil fuel industry to clean tools where other methods may prove impossible. Swindon Drains uses HPWJ to clear blockages due to the following advantages. When chemicals are used to treat blockages some of the chemicals can erode the pipes and this may lead to more problems in the future, these chemicals can also be harmful to the environment. Whereas with Swindon Drains HPWJ the only thing going down the pipes is the water therefore it is less likely to cause damage to the insides of your pipes and it isn’t in any way harmful to the environment. 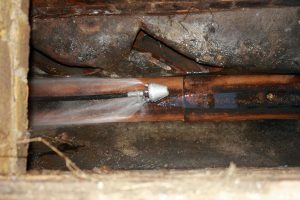 HPWJ is also very cost effective as a pose to other methods that may require removal of pipes or concrete around pipes. We know that it’s a pain when you find a blocked drain. We also know that it can be an even bigger pain when you can’t find someone to sort it out on the same day you find the blockage. You have a few options, you could wait for a plumber to fit you in his busy schedule, you could shop around and find a plumber that’s not fully booked but then wonder why he’s not fully booked. Or you could call an emergency plumber, pay their astronomical call out fee to then find out that they don’t have the right equipment to clear your blockage. Another option would be to clear the drain yourself but some household cleaners will struggle with stubborn blockages and to clear a blockage and be sure it won’t return, all of the blockage must be eradicated. So what’s the best option then? Call the professionals with over 20 years experience in clearing drains? We think so, that’s why we run 24/7 365 days of the year so ensure you always have someone to call on in an emergency. We don’t charge call out fees and unless we have to leave another job to handle your emergency then our prices are exactly the same as they would usually be. Give us a call, one of our friendly advisers will be on hand to take bookings or get you back on your feet again with an emergency call out. We love tackling blocked drains so don’t waste your time and money. Come direct to us and we’ll see you back on your feet. 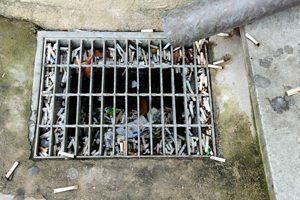 Other blocked drain causes are created by food waste. Also by foreign objects, hair and leaves. The following tips can help you to avoid blockage scenarios. They will help to keep your drains in full working order. Remove hair from your bathroom sink, shower and bath plugs. Empty the strainer if you are able to access it. Remove any excess hair. Do not dispose of cooking oils and food remains in the kitchen sink. Leave them to cool and solidify. And then dispose of them in the bin. Remove leaves, debris and rubbish from the external gullies, drain grids and guttering. That way prevent blocked drain. Do not wash paint or cement into drains. Lift the outside inspection chambers to check that the drains are free flowing and that there is no lime scale, grease or fat build up. It is easy to take for granted your drainage system. Until something goes wrong and a blockage forms. That usually happens at the most untimely and inconvenient time. The team understand that you want the blockage cleared right away and are fully equipped with the most up to date technology and equipment to solve the problem fast and in the most efficient way. Blocked Drain Swindon offer low, fixed prices 24/7 and add no hidden costs, so you know exactly the price no matter how long the job may take to complete. Affordable, clear and fair prices guaranteed no matter the time of day or night and a call out time within just 2 hours for all of your emergency plumbing situations. There is no job too big or too small for the specialist team so don’t hesitate to get in touch today for advice and guidance on your personal drainage situation. You drains inside or outside your home may be damaged and you may not even know it! 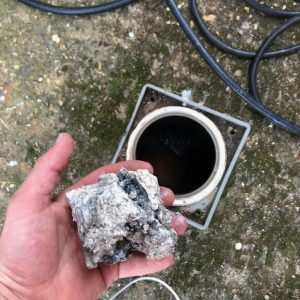 Thankfully there are many different signs there are problems, and the team at Blocked Drain Swindon have a veriety of tried-and-tested methods for locating and combatting any damage to your system. 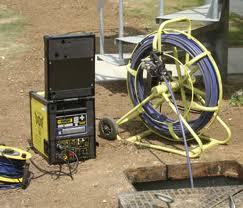 For big, outdoor problems we can perform a CCTV survey. This allows us to use a camera on a long flexible hose, which we can feed into your drains and lets us see the insides without having to completely pull up your garden. A CCTV survey can accurately locate corrosion, cracks and and blockages caused by intrusive tree roots or worse. Once located, there are a few different ways we can go about fixing a damaged pipe. One of these is completely removing the damaged sections and replacing these with new parts. This is an intrusive method as it means we will have to dig to the existing pipe and then extract this. It is an incredibly effective method, however some people do not want their garden disturbed. What can they do? That’s where drain lining comes into play. 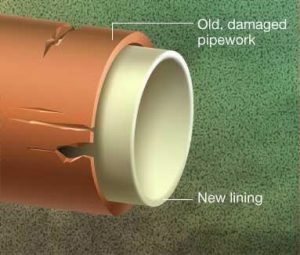 This is an amazing new method of repairing damaged pipes without having to dig up anywhere in your property. Drain lining involves feeding an exp anding lining into the pipes up to the damaged area and then onwards a bit. The lining then expands out to fill up the pipe and essentially creates a pipe within a pipe. This means the damaged outer pipe can stay in the ground, but you do not have to worry about your sewerage seeping into your garden, as the inner pipe directs the flow safely through the existing network and into the sewers. 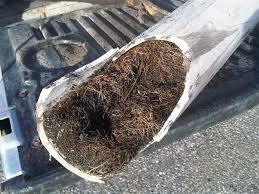 If you believe you may have damaged pipes, you must act now before the problem becomes exponentially worse. Contact Blocked Drain Swindon today for more information on our services. So how does it work? And when is it needed? It works with the help of one of our trained experienced technicians feeding through your drain along the whole length of your pipes until the whole system has been surveyed, after which point our technician will make a report using the footage from your drains. This could be used in a blockage to find the blockage or it can also be used in the name of maintenance of pipes, being able to spot any cracks or fractures in your pipe work which can let rodents in which can cause even damage or even worse spread nasty diseases. We’d never recommend leaving a crack or a blockage unattended because the problems you might have to deal with later are minuscule compared to the ones if you get it sorted straight away. We can fix your pipes and we think you’ll find our rates very competitive. We offer a 24/7 365 day a year emergency call out service with a parallel phone line that is also open 24/7 so you’ll always be able to speak to someone and potentially get someone out if that’s what you need. Any questions just call us we love hearing from you and no question is too stupid!